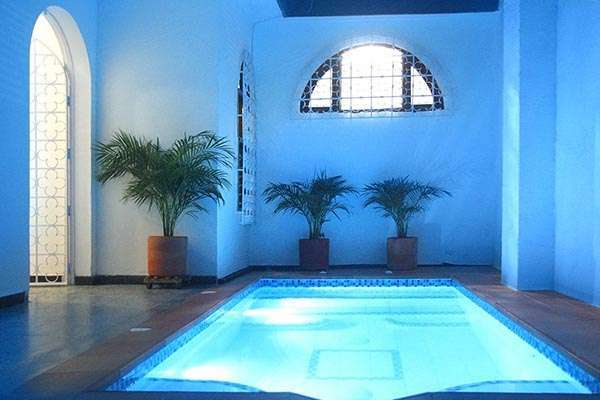 This is the best place that you could come across in Santa Marta with backpacker prices.La Guaca Hostel is found in a huge, remodeled mansion very close to the historic centre of Santa Marta. The hostel is located in a safe area of the city and is close to a variety of restaurants and shopping centres. Public transport to other parts of the city and surrounding areas is easily accessible. La Guaca boasts a pool (jacuzzi included), Restaurant-Bar speciality in Tapas and Cocktails, an open-air Lounge room amongst other socializing areas, hammocks, boardgames, computers, TV Room, a well-equipped kitchen, free Wi-Fi and a variety of dorm rooms. These rooms are well-lit and extremely spacious and each one comes with private lockers, fans and an ensuite bathroom. Everyday we serve homemade typical Colombian breakfasts accompanied by the fresh juice of the day. 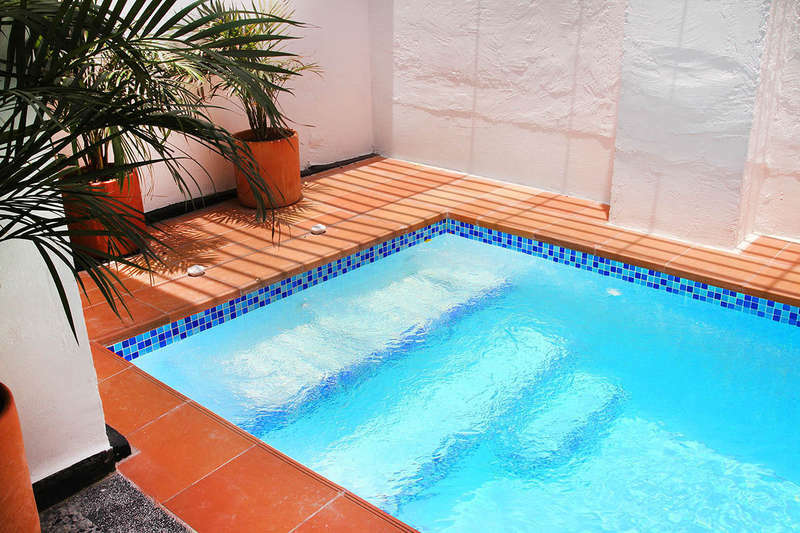 We invite you to take refreshing dip in our pool and enjoy the Caribbean heat. We’ll also help you organize and book any trips you are interested in, whether to the incredible beaches of Parque Tayrona, the magnificent Sierra Nevada and her mythical Lost City or more hidden destinations. Any information you need, we’re happy to help you with! Whilst you explore the surroundings we’ll happily take care of your luggage free of charge. Finally, here at La Guaca we’re all about backpackers looking after other backpackers and providing a social space to enjoy each other’s company! La Guaca Hostel is located in the central district of Bavaria Santa Marta. At the intersection of Carrera 8 and Carrera 12. It is only 10 minutes walk from the historical center of Santa Marta. Please keep in mind cancellation policy is 24hours before day of arrival at the property. In case of no-show the hostel will charge the total amount of the first nioght of the reservation.